Shao Ting was China's second-leading scorer during the 2016 Rio Olympics. She recently had a tryout with the Minnesota Lynx but was cut when the roster was finalized. In the 2017, ESPN World Fame 100 rankings, China -- largely thanks to last year's Rio Olympic Games -- sees three of its athletes on the list. No. 71 Ma Long, a table tennis star known for his low-key flair -- together with No. 88 Lin Dan, a combative badminton warrior, and No. 66 Ning Zetao, a baby-faced military swimmer -- provided the world with a unique opportunity to peer into the often-opaque world of Chinese athletes. However, the absence of a female athlete on the World Fame 100 is a sober reminder of a longstanding issue concerning Chinese sports -- Chinese female athletes appear to be continually underrated and underappreciated compared to their male counterparts. 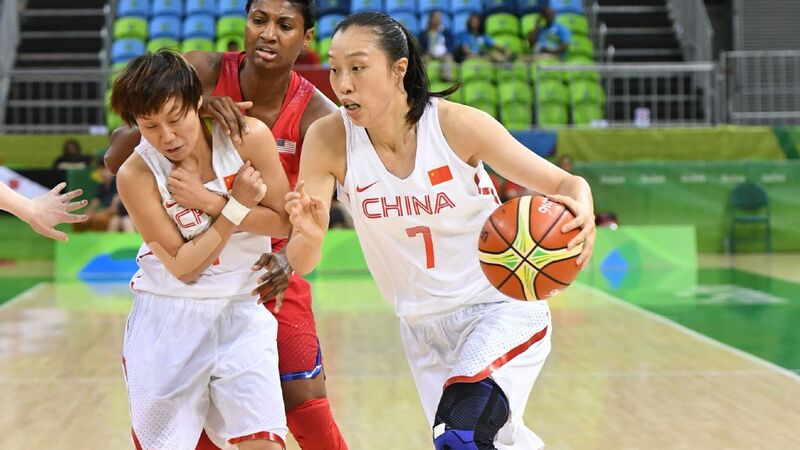 "Sports were originally designed for men to participate," said Shao Ting, a top Chinese women's basketball player. "Even right now, people still appreciate men's performance more than women. That's people's taste." For years, China has become one of the biggest sports nations, with its strong competitiveness in many fields and attractive market potential. The country's female athletes have been enjoying a proven record of success in a traditionally male-dominated environment, excelling in volleyball, diving, table tennis and other sports. Can Jin, director of the sports culture research center at the Beijing Academy of Social Sciences, says Chinese female athletes are performing much better than the men in most international sports. About 60 percent of China's Olympic gold medals in the past eight Games were earned by women. The female dominance also is seen through its sheer size. In Rio last year, 256 of the 416 Chinese athletes were women. 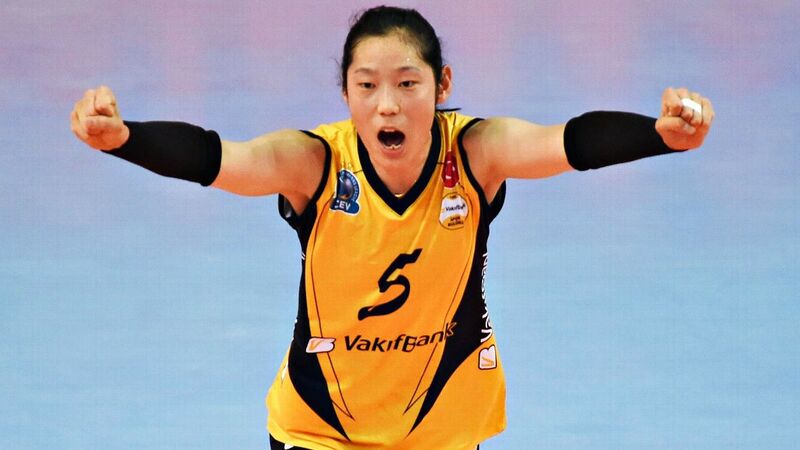 Zhu Ting makes far more money with a Turkish volleyball club than she would if she'd stayed in China to play professionally. However, despite immense success, the Chinese female athletes in general fall far behind their male counterparts in earning power and name recognition, a reality not unique to China. According to public research, a professional female volleyball player earns between $1,200 and $1,400 per month at most. If her team wins the domestic league championship, she might get a bonus between $10,000 and $15,000. One special case is 22-year-old Zhu Ting, the country's No.1 women's volleyballer, who helped China won a gold in Rio and currently earns €1.1 million (approximately $1.2 million) a year playing for a Turkish pro team. But for most others playing in the Chinese league, as national team member Hui Ruoqi once put it, the annual salary won't even be enough to pay a male soccer player for one game. In China, most athletes grew out of a centralized system, in which all sports activities are managed and regulated by government entities, and the government provides a stipend and covers all training-related costs. Outside lucrative sports such as men's soccer and basketball, earning potential is extremely limited for athletes. Zhu, a government-trained and developed athlete, is one of a few who were able to venture into a different world. But Feng Shanshan, a 27-year-old Chinese golfer who won a bronze medal for China in Rio, took a completely different path. A self-funded pro, Feng went to the United States 10 years ago to train. She has since become the first Chinese female golfer on the LPGA Tour after qualifying on her first attempt. So far, Feng has made a name for herself with more than $8 million in career earnings and seven LPGA Tour victories. However, due to golf's relative lack of popularity in China, Feng has not had the same level of fame enjoyed by Zhu and Shao, and her road to success was not any easier. 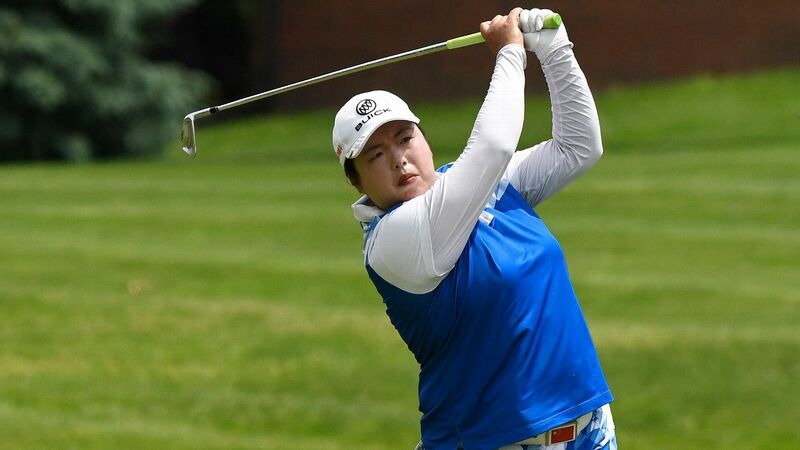 Shanshan Feng became the first Chinese woman to qualify for the LPGA Tour in 2008, and she has since won seven times, including at the recently contested Volvik Championship. "As a female Chinese athlete competing abroad, I am always faced with a new environment, new weather, new food and new languages," Feng said. "It requires lots of mental and physical strength from female athletes to be able to survive such challenges and thrive. I have been working on strengthening myself over the years." Shao, 27, played for China at the Rio Games and just completed a tryout with the WNBA's Minnesota Lynx, at which she was one of the final cuts. Aside from being an athlete who has won at all levels domestically, she is also a doctoral student in Beijing. A student-turned-athlete, Shao won several collegiate titles before getting called up to the national team. She said she noticed some major differences while training in Minnesota. "Female sports organizations in the U.S. have put in a lot of effort in marketing and promoting themselves, but I didn't see this in China," she said. "This is not only China's problem, but also the entire world's problem." One key difference, Shao said, was easily seen. "The American female athletes are much better at expressing themselves in public and communicating in an open-minded way," she said. Han Mu, founder and CEO of Lanxiong, a leading Chinese sports business media outlet, says that's a big advantage in the fame game. "Regardless of gender, athletes competing at an elite level of popular sports who know how to open themselves and speak to media tend to attract more public attention and fame," Han said. "But China still has a male-dominated culture. It's relatively difficult for female athletes to meet all the requirements, and the lack of opportunities and access prevents them from getting fame." But Shao, an education major, remains positive. "I've seen great improvements and progress," she said.